Called "Sapphire" for its brilliant blue color and sharp edges, this speaker's exterior resembles that of a rare gem. This floor standing speaker towers almost 4 feet high complete with three 8 inch bass drivers. If that wasn't enough we added a 12 inch carbon fiber passive bass driver. The passive driver technology utilizes a very special honeycomb structural assembly to increase its strength and rigidity improving its punch. 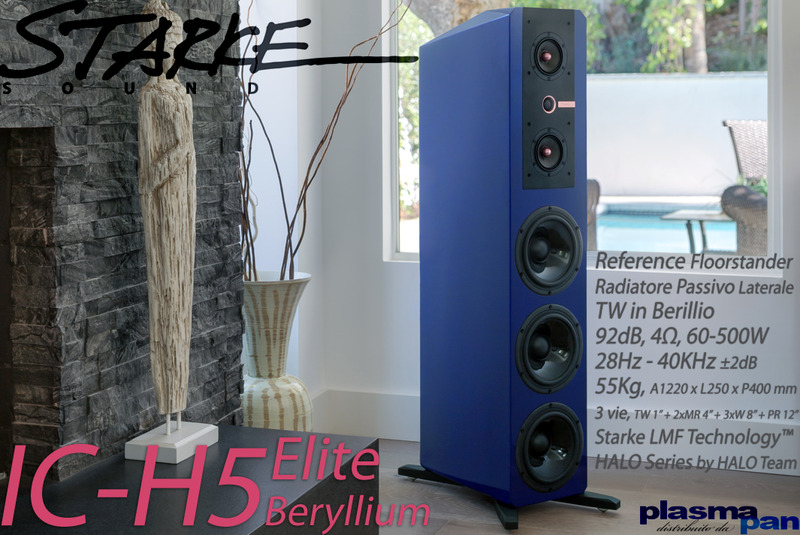 This superior speaker possesses a flat response from low frequency to high frequency with fast, rich details and an incredibly large dynamic range. IC-H5 is the perfect speaker for high end stereo sound and multi-channel home theater. *LMF Technology™ is a patented loudspeaker driver technology by Starke Sound, Inc.